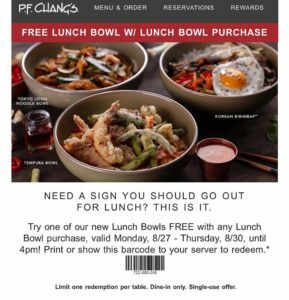 PF Chang’s FREE Lunch Bowl With Lunch Bowl Purchase 8/27-8/30! PF Chang’s for lunch!!!! 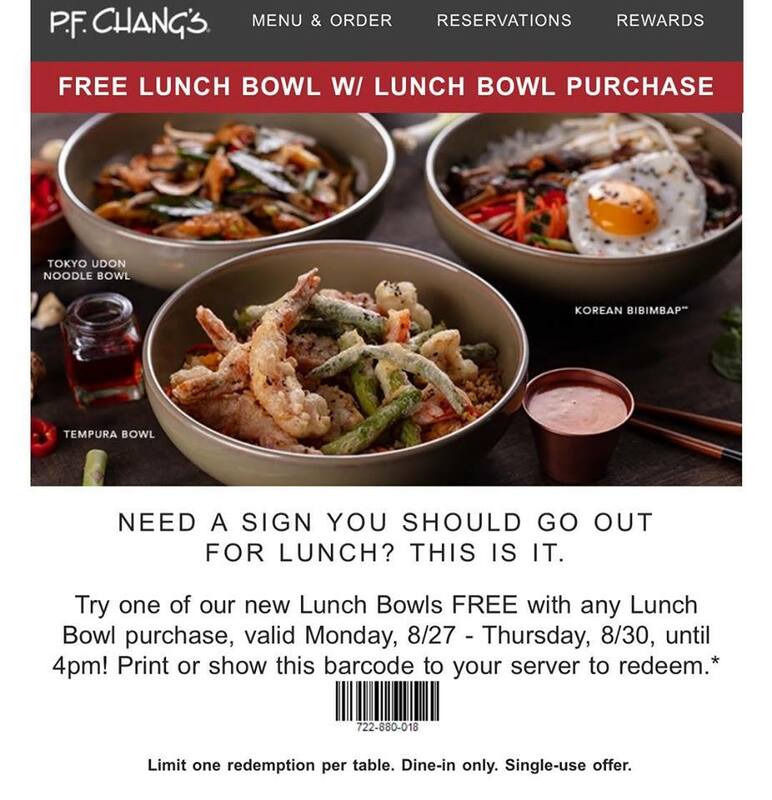 Buy One Get One FREE Lunch Bowls! This week Monday 8/27-Thursday 8/30!